I am a Google person. I own an Android phone, an Android pad, and my website is hosted by Google. So I generally ignore announcements from Apple or news about Apple because they just don't apply to me. 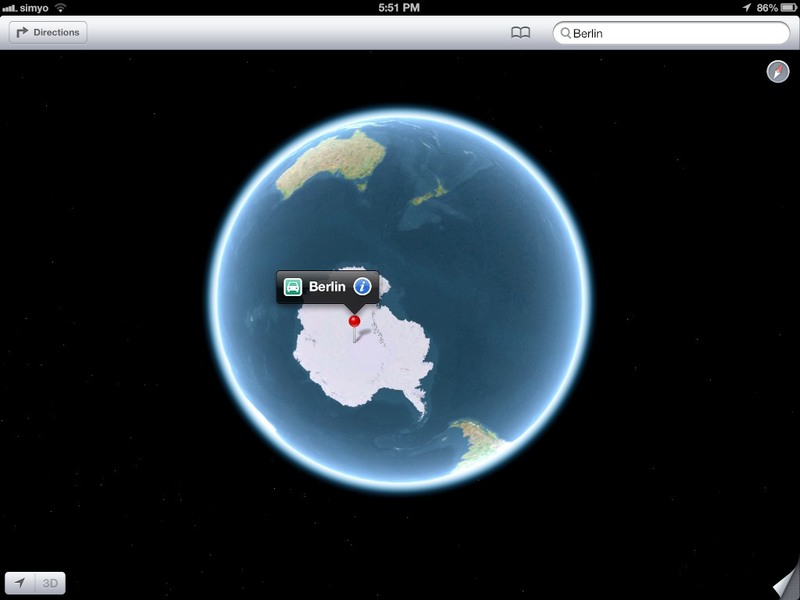 According to Apple Maps, Berlin is actually in Antarctica. But even I have heard about the very BIG mistake Apple made in iOS 6 with the introduction of their own, homegrown map application. In case you haven't heard, Apple Maps is more likely to lead you astray than to give you either an accurate map or accurate directions. The maps are wrong in multiple ways that are more amusing then informative. For instance, in the above picture, Berlin is listed in Antarctica. But that's better than the fate of Mumbai and Gutenberg, which just don't exist anymore. The Holy Ghost of Incurables, began in 1895, changed its name. Twice. 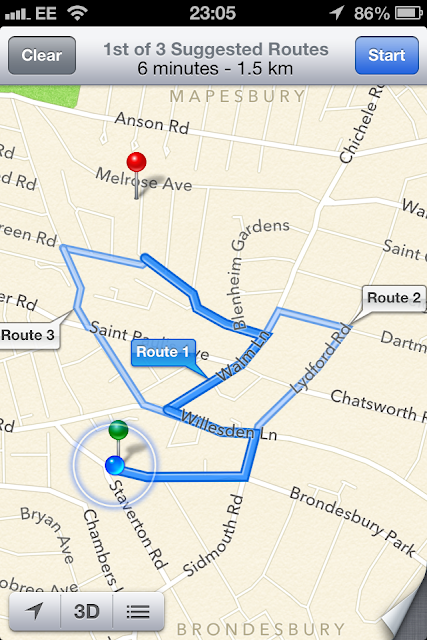 Apple Maps offers three routes from the green pin to the red pin. Only none of the routes actually goes to the red pin. 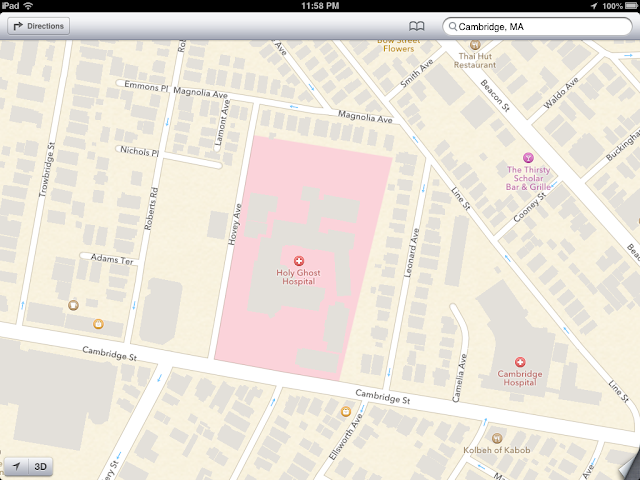 I pulled all of these images from The Amazing iOS 6 Maps - but there are literally hundreds of more images. 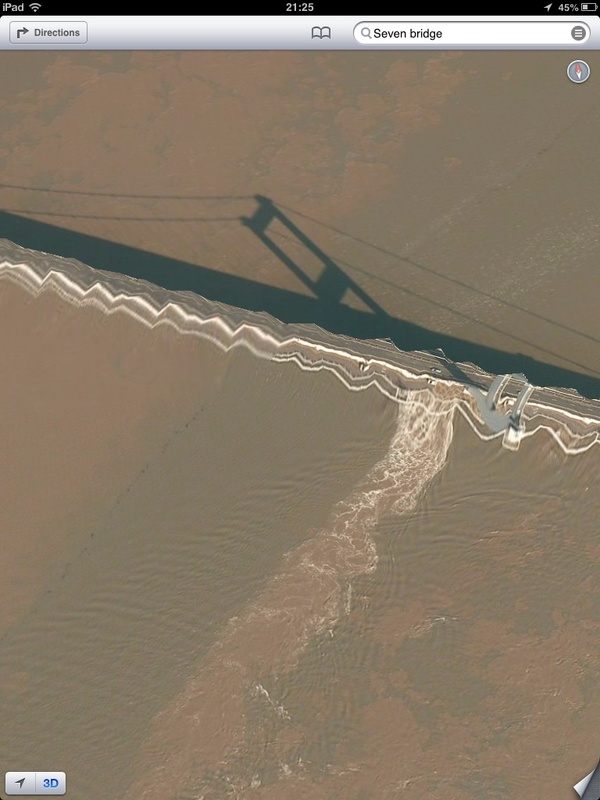 If you visit the blog and listen very carefully, you can hear Google laughing. 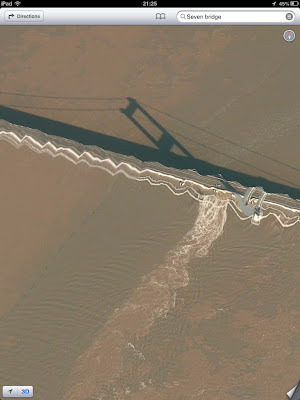 Hubby uses Google Maps to get an overview of places, but we don't trust directions given to us by anything usually. I know of friends who have almost ended up in 1) a body of water, 2) the worst part of town, and 3) the middle of truly nowhere by using their GPS.